Comments: One of the best flowering plants to attract both butterflies and hummingbirds. 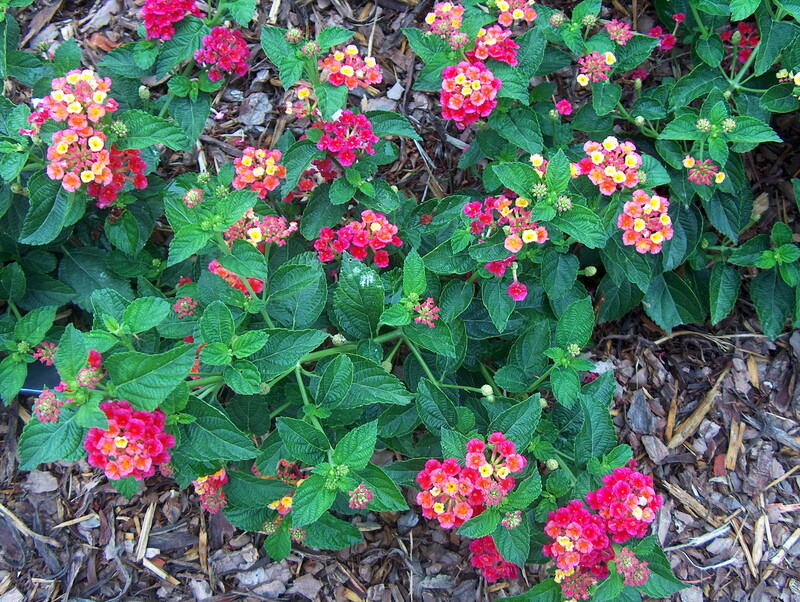 Lantanas stay in bloom from spring until temperatures drop below 60 degrees F. at night. To encourge more and quicker flowering, lightly prune the plant after most flowers have opened and seeds have started to set. Birds of many kinds eat lantana fruit.